The offense finds balance: LSU simply pushed around a porous Arkansas defensive front on Saturday, allowing Leonard Fournette and Derrius Guice to run wild for 350 yards and five touchdowns. But keep in mind LSU’s three Southeastern Conference wins under Ed Orgeron have come against the league’s three worst run defense. Florida, on the other hand, ranks second behind Alabama in run defense, allowing 111.3 YPG. Florida won’t be able to stuff LSU’s dynamic duo like Alabama did — particularly after sustaining two key injuries at linebacker — but LSU will likely need more out of Danny Etling and the passing game. Dave Aranda keeps on keeping on: The LSU defense limited high-powered offenses of Ole Miss, Alabama and Arkansas to a grand total of four touchdowns in its previous three assignment. Now it gets to lick its chops at the prospect of facing backup quarterback Austin Appleby playing behind an offensive line that lost three starters in a costly 20-7 win over South Carolina last time out. The Gators rank No. 11 in the SEC in scoring offense (26.2 PPG) and No. 12 in total offense (378.1 YPG). Factor in those injuries and it’s a bad matchup against one of the nation’s elite defenses. 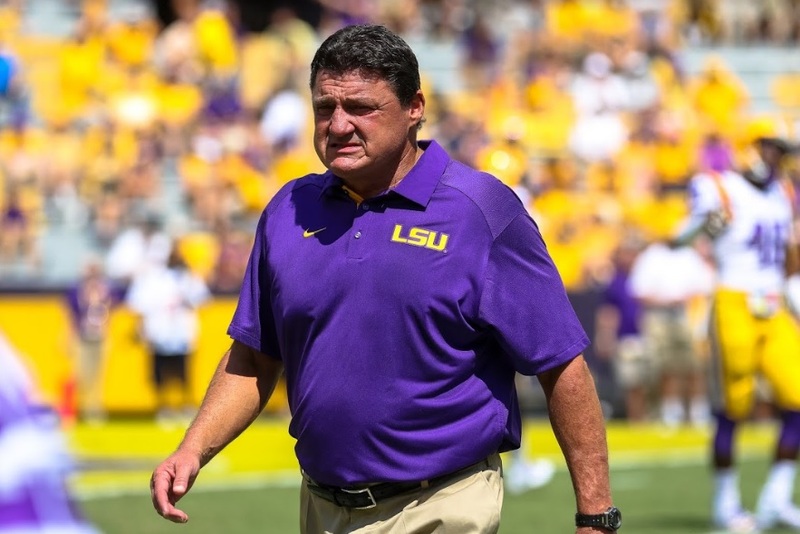 Start fast: Between the downhill running game and a suffocating defense, there isn’t a harder team to come from behind against than LSU this side of Alabama. With that in mind, it’s imperative Florida finds a way to get out to an early lead on Saturday. Perhaps the noon CT kickoff will benefit the Gators, who are much more accustomed to playing early in the day than is LSU, which hasn’t play a day game season the season-opener at Lambeau Field. The Gator defense, banged up as it is, can still protect a lead. The challenge will be getting one. Manufacture easy points: It’s been an uncharacteristically quiet season for Antonio Callaway, the latest in a long line of all-purpose weapons at Florida. He’s Florida’s leading receiver with 35 grabs for 533 yards, but he’s found the end zone just three times all season — twice on receptions and once more on a kick return. Florida’s chances to win in Tiger Stadium increase exponentially if Callaway can generate easy points in the return game or if the Gator defense can force turnovers to set up its struggling offense with a short field. Driving the length of the field against LSU will prove tough sledding.